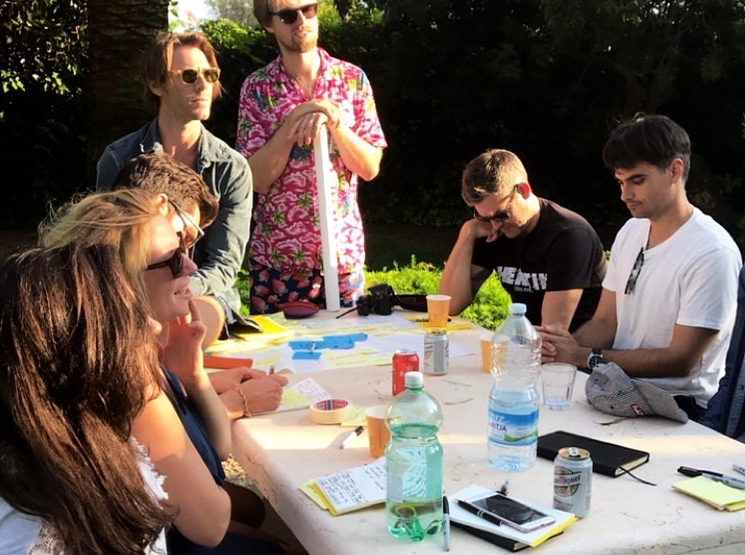 It all started with a 4-day coworking event on a gorgeous mediterranean island with lush wooded hillsides, sensational viewpoints and unspoiled coves sparkling with crystal-clear waters! No need to mention the delicious cuisine! Now this event became an institution! Welcome to the Finca Mallorca Thunderbolt Coworking Events! 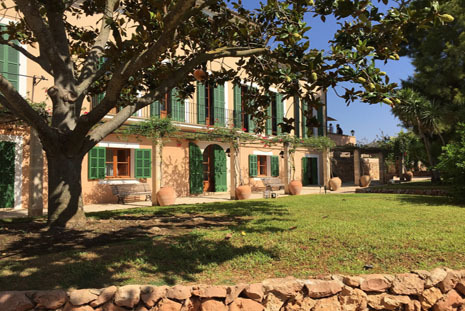 Your accommodation and workstation will be a stunning finca at the south-east of Mallorca. The 15th century building, entirely and tastefully renovated, is surrounded by a 5,800 m² large and charmingly designed garden plot. The Finca is located only a few minutes away from one of the most beautiful beaches on the island. 10x4m Large Pool, 1.50 m depth. With over 300 days of sunshine a year, a stunning scenery, amazing restaurants and a laid-back lifestyle, Mallorca attracts VIPs like Michael Douglas, Claudia Schiffer and even the Royal Family. 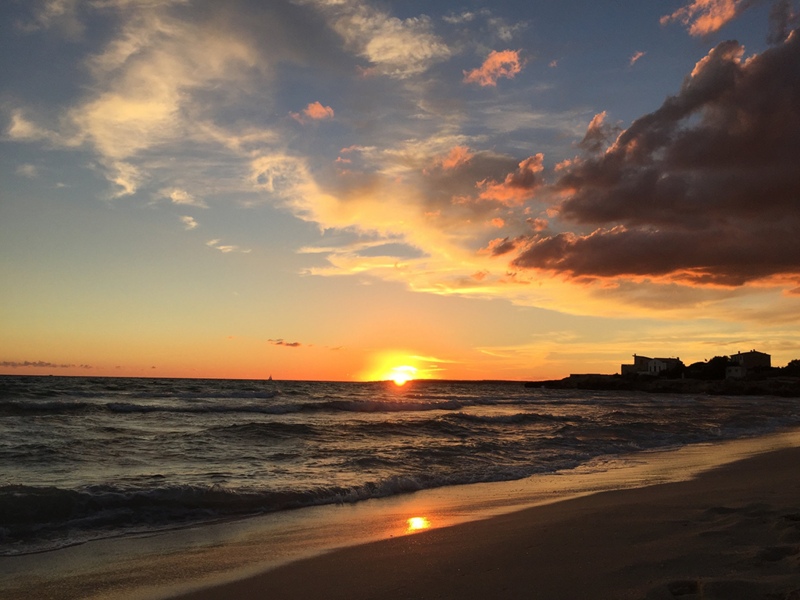 But even – and especially – Mallorca has a lot to offer for events, entrepreneurs, freelancers and digital nomads, who are seeking for a dynamic group of coworkers which are energetic and smart. A community that can work hard but also enjoys the opportunities of working from everywhere in the world, to lay back once work is done. Mallorca is filled with stunning beaches. ‘Es Trenc’ with its wide stretch of sand, it’s sometimes referred to as Mallorca’s answer to the Caribbean. Rod Steward rocks on his yacht here. Not bad to grab a beer after work and chat with like-minded for a sundowner, right? Delicious almonds, olives, walnuts, and the local tomato called Ramallet, grimalt cheeses, cocarrois and pasties with various fillings, pa’amb oli – Majorcan bread with garlic, tomato, and olive oil…. getting hungry? On Mallorca, you will mostly find a pleasant mediterranean climate. Weather here is much more enjoyable than the weather of continental Europe. 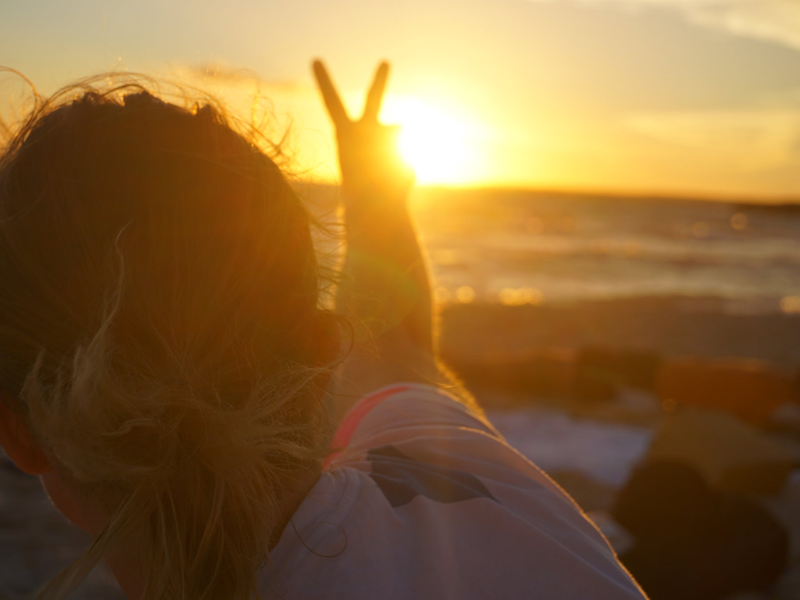 Mallorca is the perfect destination for those who are looking to soak up some sun. Even when the temperature goes higher during the summer months, there is cool breeze to cool you off! And in autumn you will experience an extended summer: Temperatures around 25 degrees celsius and pleasant water temperatures for even those guys, who normally wouldn’t dip a single toe into a freezing sea. Are you into cycling, walking, scrambling, climbing, jumping or swimming? Perfect choice! Let’s try one of the Mallorca best activates such as canyoning! After few hours of work it’s cool to stretch and relax by hiking & walking, diving or a sea kayaking! 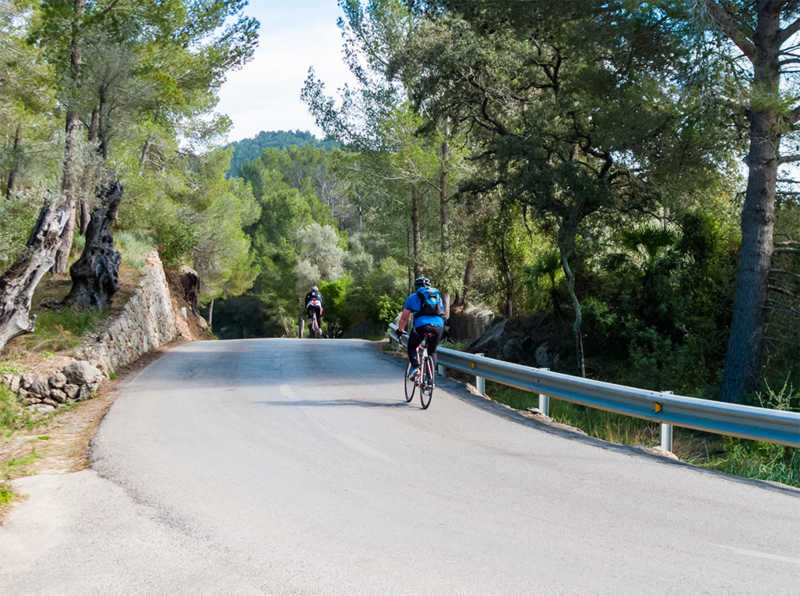 Mallorca is also well known for mountain-biking and bicycling tours. … states Michael Smart from the Berliner Digital Product Agency ‘AJ&Smart’, after they joined the event on Mallorca. “It was a truly amazing experience. Our team was able to be so creative and learned much more about their team mates to strengthen relationships, to have a better understanding for each other and to think in a total different way in this relaxed atmosphere”. Prices starting from just €35,- per day. The events are usually tax-deductible. You’ll get a duly issued invoice about the event. Depending on regulations of your local tax administration, possibilities of tax deduction may vary. Please consult with your accountant. Thunderbolt Coworking Events are made to be an amazing experience, affordable for the vast majority of the community. Amazing locations have a tendency to be amazing expensive, though. To keep these great events running, economic profitability is a must. So: Sponsors, you are welcomed: You can improve your relationship with your contractors, hold workshops and seminars, introduce your new products or simply show that you do support the community and their demand for a flexible life-work-balance. Your contribution will always be embraced and goes viral! 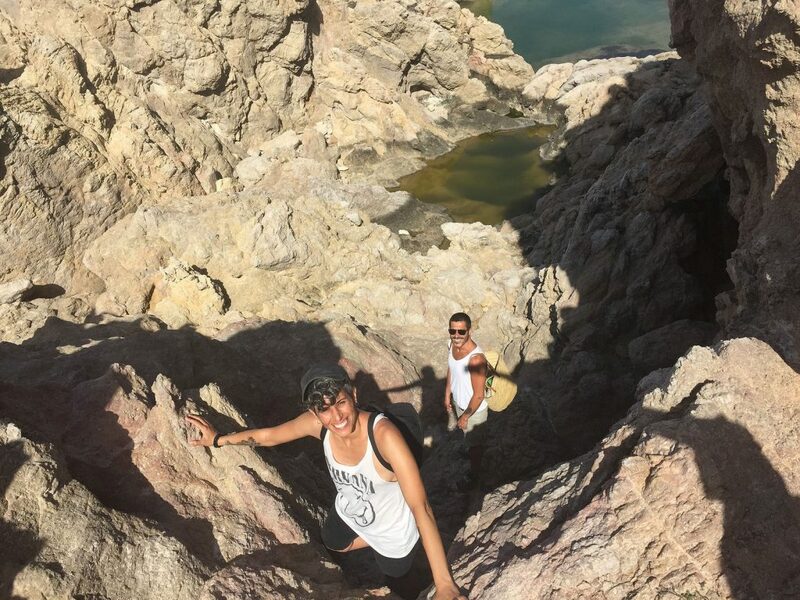 Join us in our next adventure! We’re very happy to invite you to the Thunderbolt’s Coworking Event in the Bahamas, exploring the amazing Exumas with a route to breathtaking locations.